Be reminded before your task is due! 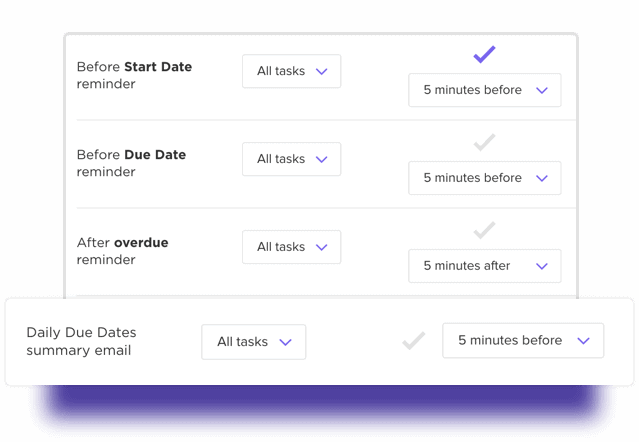 You can choose to be reminded from 5 minutes up to 3 days before your task is due! Your safety net! 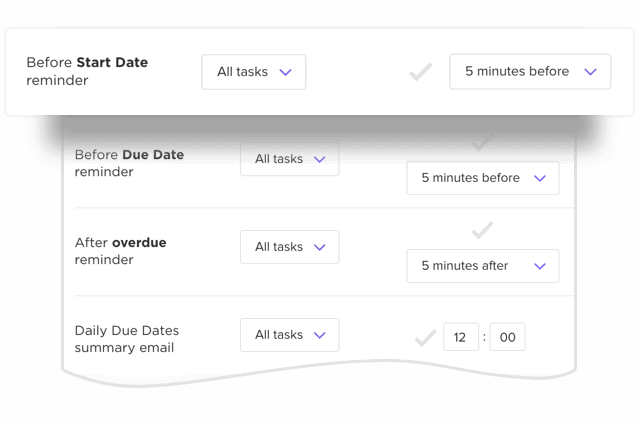 You get the same notification window, but this time, it's all about catching your attention after an unfinished task goes overdue. Be reminded before your task is scheduled to start! Choose how long you'd like to prepare for a task before a task starts by giving yourself this reminder! When you have tasks overdue, due today, or due tomorrow schedule an email to remind you. On weekends, we'll only send emails if you have tasks due that weekend. Get reminders anyway you want. 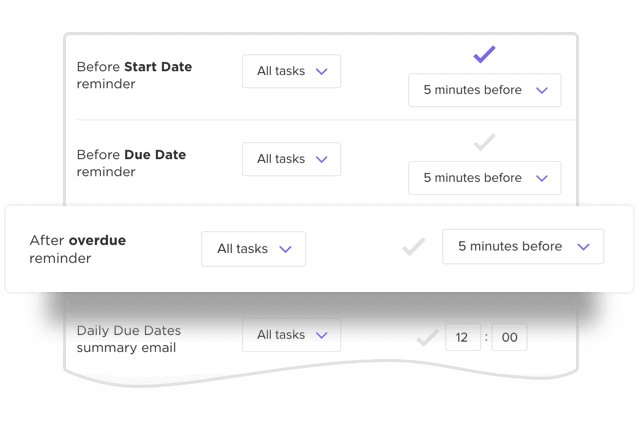 Choose a time of the day to receive a summary of all tasks with approaching due dates! 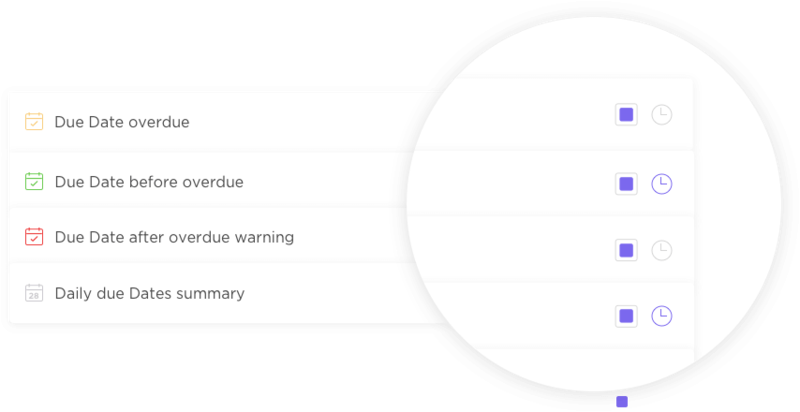 Clear notifications from the web app within a set timeframe, and we’ll hold them from your other channels. 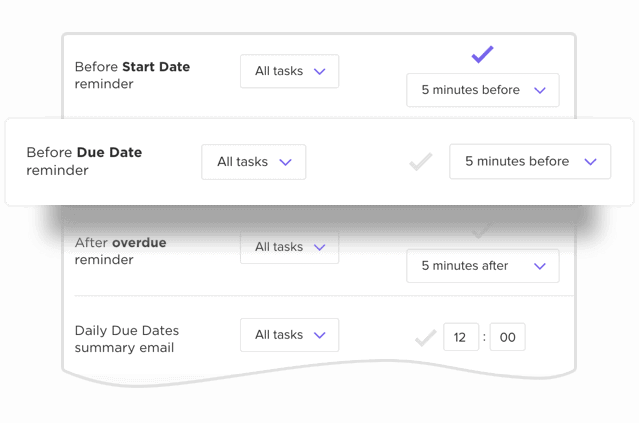 For start and due dates, ClickUp will send reminders at a set time period before the date is reached. 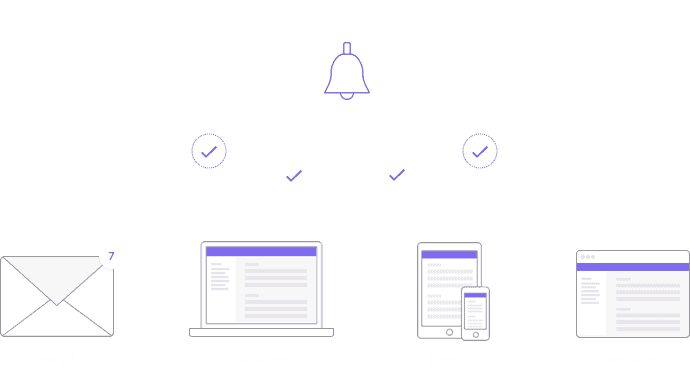 Determine which notifications deserve a sound on your mobile devices.